Father Saher I de Quency2,1 b. circa 1098? [S1278] K.S.B. Keats-Rohan, Domesday Descendants, pg. 652. [S603] C.B., LL.D., Ulster King of Arms Sir Bernard Burke, B:xP, pg. 447. [S1491] Douglas Richardson (e-mail address), Re: Maud de Prendergast in "Re: Maud de Prendergast," newsgroup message 2000/03/09. [S1221] C.B., LL.D., Ulster King of Arms Sir Bernard Burke, B:CG, II:773. [S1345] Anselme de Sainte-Marie (augustin déchaussé), Pere Anselme's Histoire, 3rd Ed., VI:84. [S467] GdRdF, online http://jeanjacques.villemag.free.fr/, Beaujeu, 1140. [S970] MGDR, online http://www.genealogie-mittelalter.de/, FAMILIE DER SPANHEIMER. [S1265] Genealogy.eu, online genealogy.euweb.cz, THE PREMYSLIDS. [S998] OCA, online http://www.oca.org/pages/orth_chri/Feasts-and-Saints/, 04 July (17 July). [S215] Revised by others later George Edward Cokayne CP, XI:App. D, pg. 108-109. [S1278] K.S.B. Keats-Rohan, Domesday Descendants, pg. 489. [S215] Revised by others later George Edward Cokayne CP, XI:App. D, pg. 108. [S215] Revised by others later George Edward Cokayne CP, XI:App. D, pg. 109. [S215] Revised by others later George Edward Cokayne CP, IV:317. [S1345] Anselme de Sainte-Marie (augustin déchaussé), Pere Anselme's Histoire, 3rd Ed., III:291. [S204] Roderick W. Stuart, RfC, 244-30. [S1280] Patrick van Kerrebrouck, Capetiens 987-1328, pg. 562. [S1345] Anselme de Sainte-Marie (augustin déchaussé), Pere Anselme's Histoire, 3rd Ed., III:292. [S682] D.S.O. Lt.-Col. W. H. Turton, Turton, pg. 180. Mathilda de Bourgogne was born circa 1130. She was the daughter of Hugues II "le Pacifique", duc de Bourgogne and Mathilde de Mayenne. Mathilda de Bourgogne married Guillaume VII, seigneur de Montpellier, son of Guillaume VI, siegneur de Montpellier and Sibylle de Mataplana, on 25 February 1159. Mathilda de Bourgogne died before 29 September 1172. [S204] Roderick W. Stuart, RfC, 377-29. 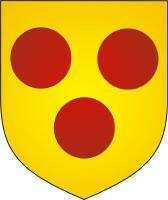 [S970] MGDR, online http://www.genealogie-mittelalter.de/, Familie der Ludowinger. [S970] MGDR, online http://www.genealogie-mittelalter.de/, Familie der Ludowinger, 1128. [S970] MGDR, online http://www.genealogie-mittelalter.de/, Familie der Ludowinger, 1130-1140. [S970] MGDR, online http://www.genealogie-mittelalter.de/, Familie der Ludowinger, 1140-1172. [S970] MGDR, online http://www.genealogie-mittelalter.de/, Familie der Ludowinger, 14.10.1172 Burg Neuenburg bei Freyburg. Also called Matheus Comes Boloniensium.1 Also called Matthäus von Boulogne.2 Mathieu, comte de Boulogne was born in 1135 at Flanders. He was the son of Graf von Flandern Dietrich von Elsaß and Sibyl d' Anjou.1 Mathieu, comte de Boulogne married Marie de Blois, daughter of Étienne, roi d' Angleterre and Matilda de Boulogne, in 1160.1 Mathieu, comte de Boulogne and Marie de Blois were divorced between 1169 and 1170.3 Mathieu, comte de Boulogne died in 1173 at age 38 years.1 Mathieu, comte de Boulogne was buried in Josse, Landes, Aquitaine, France. [S1278] K.S.B. Keats-Rohan, Domesday Descendants, pg. 224. [S204] Roderick W. Stuart, RfC, 299-29. [S215] Revised by others later George Edward Cokayne CP, VI:499. [S215] Revised by others later George Edward Cokayne CP, VI:498. [S603] C.B., LL.D., Ulster King of Arms Sir Bernard Burke, B:xP, pg. 119. [S576] Jr. Aileen Lewers Langston and J. Orton Buck, Pedigrees of Charlemagne Descendants, Vol II, Chapter LXXII - Wright-Townsend-Bowman-Rosenmiller, pg. 316. [S215] Revised by others later George Edward Cokayne CP, VI:501. Mother Nesta verch Rhys o Deheubarth1 b. circa 1085? [S809] NE Genealogies, FTM CD 181 (EO), Ser. 1, Vol. 3, pg. 391. 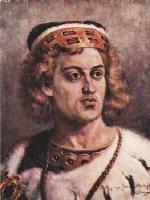 Guillaume VII, seigneur de Montpellier was born circa 1130. He was the son of Guillaume VI, siegneur de Montpellier and Sibylle de Mataplana.2,3 Guillaume VII, seigneur de Montpellier married Mathilda de Bourgogne, daughter of Hugues II "le Pacifique", duc de Bourgogne and Mathilde de Mayenne, on 25 February 1159. Guillaume VII, seigneur de Montpellier left a will on 20 September 1172. He died after May 1173. Guillaume VII, seigneur de Montpellier was buried in the Abbey, Granselve. [S204] Roderick W. Stuart, RfC, 150-29. [S1280] Patrick van Kerrebrouck, Capetiens 987-1328, pg. 566. [S1280] Patrick van Kerrebrouck, Capetiens 987-1328, pg. 567. Mother Hadvisa Filia Geldewini de Dol2 b. circa 1110? [S1278] K.S.B. Keats-Rohan, Domesday Descendants, pg. 263. [S484] Peter Townend, B:P, 105th, pg 791. [S977] Dario Alberi, Alberi, D..
[S970] MGDR, online http://www.genealogie-mittelalter.de/, Familie der Spanheimer, 1124-1171. [S977] Dario Alberi, Alberi, D., 1124-1173. [S206] With additions and corrections by Walter Lee Sheppard, Jr. and assisted by David Faris Frederick Lewis Weis, Weis: AR 7th ed., 176-6. [S278] DfAdam, online unknown url, The Line of Anarawd ap Rhodri, 93. [S490] Llywelyn ap Iorwerth and some of his contemporaries, manuscript, early 13th - 14th Century unknown repository, 28. [S491] Welsh genealogy, manuscript, last quarter of 13th century unknown repository, 1. [S272] Francis Jones, Jones, F., pg. 20, Chart II, The Dynasty of Gwynedd (Main Line Only). [S1278] K.S.B. Keats-Rohan, Domesday Descendants, pg. 1102. [S489] Welsh genealogies, manuscript unknown repository, 2a. [S204] Roderick W. Stuart, RfC, 242-29. [S206] With additions and corrections by Walter Lee Sheppard, Jr. and assisted by David Faris Frederick Lewis Weis, Weis: AR 7th ed., 169A-27. [S278] DfAdam, online unknown url, The Line of Stephen, King of England, 86. [S603] C.B., LL.D., Ulster King of Arms Sir Bernard Burke, B:xP, pg. 352. [S1345] Anselme de Sainte-Marie (augustin déchaussé), Pere Anselme's Histoire, 3rd Ed., III:301. [S682] D.S.O. Lt.-Col. W. H. Turton, Turton, pg. 208. [S215] Revised by others later George Edward Cokayne CP, VIII:70. [S203] R. F. Tapsell, Royalty of the World, 69.a.20, S18. [S269] C. W. Previté-Orton sCMH I, pg. 557, genealogy table 16, the Welfs and the Hohenstaufen, (b) the Hohenstaufen and their Kindred. [S970] MGDR, online http://www.genealogie-mittelalter.de/, Familie der Ludowinger, 1151. [S970] MGDR, online http://www.genealogie-mittelalter.de/, Familie der Ludowinger, 18.1.1174 . [S1265] Genealogy.eu, online genealogy.euweb.cz, Bohemia 2. [S681] Jiri Louda and Michael MacLagan, Louda & MacLagan, 1981, Table #86. [S1143] Brockhaus 2002, Ottokar I Premysl. [S203] R. F. Tapsell, Royalty of the World, 92.h.2, s1. [S862] Various EB CD 2001, Andrew I (Russ. prince) . [S203] R. F. Tapsell, Royalty of the World, 92.h.1, (S14 of Kiev). [S1242] George B. Hewitt, Lordkipanidze: Georgia 11th-12th C, pg. 140. [S1345] Anselme de Sainte-Marie (augustin déchaussé), Pere Anselme's Histoire, 3rd Ed., I:18. [S656] Steven Runciman, Runciman (Jerusalem), Appendix III: Genealogical Trees. [S1106] Patricia Kelly and Philip Irwin Jane McCarthy, AH, pg. 10. [S1345] Anselme de Sainte-Marie (augustin déchaussé), Pere Anselme's Histoire, 3rd Ed., I:22. [S862] Various EB CD 2001, Baldwin V.
[S862] Various EB CD 2001, Isabella I. [S1345] Anselme de Sainte-Marie (augustin déchaussé), Pere Anselme's Histoire, 3rd Ed., VI:24. [S204] Roderick W. Stuart, RfC, 9-30 . [S970] MGDR, online http://www.genealogie-mittelalter.de/, Andechs u. Diessen. [S970] MGDR, online http://www.genealogie-mittelalter.de/, Familie der Ludowinger, 10.9. nach 1174. [S206] With additions and corrections by Walter Lee Sheppard, Jr. and assisted by David Faris Frederick Lewis Weis, Weis: AR 7th ed., 121B-27. [S278] DfAdam, online unknown url, The Line of Uchtred, Lord of Galoway, 90. [S591] Sir James Balfour Paul, SP. [S1503] The Baronage Press Vol. VIII, No. 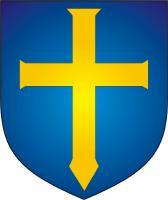 2, online http://www.baronage.co.uk/index.html, The Ancestry of Robert the Bruce. [S206] With additions and corrections by Walter Lee Sheppard, Jr. and assisted by David Faris Frederick Lewis Weis, Weis: AR 7th ed., 111-26. [S204] Roderick W. Stuart, RfC, 95-29. [S270] C. W. Previté-Orton sCMH II, pg. 825, genealogy table 22, the Castile and Aragon, 1033-c. 1300, (b) the House of Aragon, 1033-1327. [S512] H. J. Chaytor, Chaytor, H. J., Appendix II. [S245] LDS, Or 13 Oct 1174..
[S450] Joaquin Veríssimo Serrão História de Portugal, pg. 398. [S1345] Anselme de Sainte-Marie (augustin déchaussé), Pere Anselme's Histoire, 3rd Ed., I:575. [S204] Roderick W. Stuart, RfC, 304-29. [S970] MGDR, online http://www.genealogie-mittelalter.de/, Die Familie der Herzöge von Geldern. [S970] MGDR, online http://www.genealogie-mittelalter.de/, Die Familie der Herzöge von Geldern, "1135". [S975] De Graafschap in de Middeleeuwen, online http://home.planet.nl/~graafschap.middeleeuwen/algemeen/…, "1137". 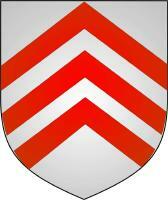 [S970] MGDR, online http://www.genealogie-mittelalter.de/, Haus Chatenois (Elsass). [S970] MGDR, online http://www.genealogie-mittelalter.de/, Familie der Grafen/Herzöge von Limburg, Tochter des Grafen Dietrich. [S970] MGDR, online http://www.genealogie-mittelalter.de/, Familie der Grafen/Herzöge von Limburg. [S970] MGDR, online http://www.genealogie-mittelalter.de/, Familie der Grafen/Herzöge von Limburg, um 1130. [S1154] Nichol (e-mail address), Count of Vermandois (1057-1102) Children of Hugh in "Children of Vermandois," newsgroup message 2002-01-09 15:48:54 PST. [S970] MGDR, online http://www.genealogie-mittelalter.de/, Familie der Grafen/Herzöge von Limburg, 1152. Also called Lord of Topcliffe County York. 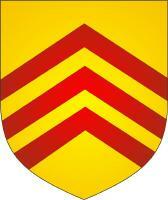 William, 3rd Lord Percy was born circa 1112 at Alnwick, Northumberland, England. He was the son of Alan, 2nd Lord Percy and Emma de Gant. William, 3rd Lord Percy married Adeliza de Clare, daughter of Richard fitz Gilbert, Lord of Clare and Adeliza de Meschines, circa 1132.1 William, 3rd Lord Percy died in 1175. Sine prole masculina. [S603] C.B., LL.D., Ulster King of Arms Sir Bernard Burke, B:xP, pg. 423. Sebastokrator Isaakios Komnenos was born after 1 January 1093. He was the son of Alexios I Komnenos, basileus Rhomaiôn and Eirene Doukaina, basilissa Rhomaiôn.2 Sebastokrator Isaakios Komnenos married Kata Bagrationi, daughter of Davit' II Agmashenebeli, King of Georgia and Princess Rousudan of Armenia, in 1116; Per Lordkipanidze.3,4,5 Sebastokrator Isaakios Komnenos was arrested on orders of Axuch, regent for the new Emperor, Manuel, while Manuel was in Cilicia with his father's death, and sent to arrest possible contenders, his uncle Isaac one of them in 1143.6 He died in 1175. [S204] Roderick W. Stuart, RfC, 42-31.
, Part 2, V, per Rafal Prinke per "the eminent medievalist Dr. Mariam Lordkipanidze of Tbilisi University". [S1164] Ronald Grigor Suny, Suny, pg. 36, 1118. [S1170] John Julius Norwich, Norwich - Byzantium, pg. 274.
, msg 4 in thread, by Rafal T. Prinke (e-mail address). [S1265] Genealogy.eu, online genealogy.euweb.cz, Byzant 1.
, [L L Brook et al. (eds) *Genealogie medievali di Sardegna* (Publicazione della Deputazione di Storia Patria per la Sardegna, 1983) 109; F Cognasso *Il Piemonte nell'eta sveva* (Torino, 1968) Tav.V]. Agnes von Metz was born after 1120. She was the daughter of Graf Folmar III im Bliesgau and Mechthild von Egisheim. Agnes von Metz married Ludwig II, Graf von Loon, Burggraf von Mainz, son of Arnulf, Graf von Loon, Burggraf von Mainz and Agnes von Mainz, circa 1150. Agnes von Metz died after 1175. [S204] Roderick W. Stuart, RfC, 45-28. [S206] With additions and corrections by Walter Lee Sheppard, Jr. and assisted by David Faris Frederick Lewis Weis, Weis: AR 7th ed., 242-9. [S682] D.S.O. Lt.-Col. W. H. Turton, Turton, pg. 25. [S204] Roderick W. Stuart, RfC, 240-28. Beatrice FitzRichard b. circa 1113? [S215] Revised by others later George Edward Cokayne CP, XI:App. D, pg. 107. [S206] With additions and corrections by Walter Lee Sheppard, Jr. and assisted by David Faris Frederick Lewis Weis, Weis: AR 7th ed., Line 262.27. [S215] Revised by others later George Edward Cokayne CP, XI:Appendix D, pg. 107. [S1032] K.S.B. Keats-Rohan, Domesday People, pg. 373. [S1278] K.S.B. Keats-Rohan, Domesday Descendants, pg. 441. [S215] Revised by others later George Edward Cokayne CP, XI:Appendix D, pg. 108. [S215] Revised by others later George Edward Cokayne CP, III:429. [S215] Revised by others later George Edward Cokayne CP, IV:315. Sire de Salins Gaucher III de Salins was born circa 1110. He was the son of seigneur de Salins Humbert III "le Renforce" de Salins. 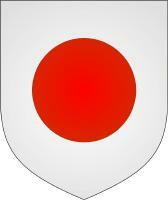 Sire de Salins Gaucher III de Salins died on 15 August 1175 at St. Dyan. Sire de Salins Gaucher III de Salins was buried in St. Stephen's, Bréançon, Val-d'Oise, Île-de-France, France. Father Hugues Talbot2 b. circa 1096? [S215] Revised by others later George Edward Cokayne CP, XII\1:606. [S1345] Anselme de Sainte-Marie (augustin déchaussé), Pere Anselme's Histoire, 3rd Ed., VII:86. [S215] Revised by others later George Edward Cokayne CP, XII\1:607. [S215] Revised by others later George Edward Cokayne CP, XII\1:607, before Michaelmas 1175. [S1345] Anselme de Sainte-Marie (augustin déchaussé), Pere Anselme's Histoire, 3rd Ed., I:539. Mother Kristin von Schwaben6 b. 1125? Also called Richenza. Also called Rixa. Richilde, Królewna Polska was born in 1137?. She was the daughter of Wladislaw II Wygnaniec, Królewicz Polska and Kristin von Schwaben.3,4,5,6 Richilde, Królewna Polska married Alfonso VII "el Emperador", Rey de Galicia, de León y de Castilla, son of Raymond, comte de Bourgogne and Urraca, reina de León y de Castilla, in July 1152; His 2nd. Her 1st.3,5 Richilde, Królewna Polska died before 1176. [S206] With additions and corrections by Walter Lee Sheppard, Jr. and assisted by David Faris Frederick Lewis Weis, Weis: AR 7th ed., 147-27. [S204] Roderick W. Stuart, RfC, 378-29. [S270] C. W. Previté-Orton sCMH II, pg 824. [S682] D.S.O. Lt.-Col. W. H. Turton, Turton, pg. 272. [S681] Jiri Louda and Michael MacLagan, Louda & MacLagan, 1981, Table #45. [S270] C. W. Previté-Orton sCMH II, pg 824, genealogy table 20, Castile and Aragon, 1033-c 1300, (a) the House of Castile, 1033-1284. "Fair" Rosamund de Clifford was a mistress of Henry's, an extraordinarily beautiful woman, who, by some accounts, had violet eyes. She was born circa 1146. She was the daughter of Walter, 1st Lord Clifford and Margaret de Tosny.1 "Fair" Rosamund de Clifford associated with Henri II "Courtmanteau", roi d' Angleterre, son of Geoffroy V "Plantagenêt", comte d'Anjou and Matilda "le Impératrice", reine d' Angleterre, before 1173; A concubine of Henry's.1,2 "Fair" Rosamund de Clifford was the much celebrated mistress of King Henry II by the old writers of romance.1,2 She died circa 1176. Hugh Wac, seigneur de Négreville was "vir nobilis," probably in the sense of a nobleman.1 He was first son and heir of Geoffrey Wac.1 Lord of Négreville at Manche, Valognes, Normandy.1 He was born circa 1106. He was the son of Geoffrey Wac.1 Hugh Wac, seigneur de Négreville married Emma de Clare, daughter of Baldwin fitz Gilbert, lord of Bourne jure uxoris and Adeline de Rollos, before 1131.2 Hugh Wac, seigneur de Négreville was granted his lordships by King Henry I before 1135.2 He was with King Stephen at Stamford in 1142.1 He made a feoffment of land in Waltham on the Wolds circa 1150 at Leicestershire, England.1 He was with the Earl of Chester at Devizes, when he witnessed "ex parte comitis" the charter for the Earl of ___, Henry, Duke of Normandy, in 1153.1 He saw the Sheriff of counties Warwick and Leicester answer for his scutage in 1161/62.1 He witnessed a charter of Henry II circa February 1162/63.1 He paid £ 38 . 2 . 6 in 1164/65 at Lincolnshire, England.1 He answered for 10 and 1/8 knights' fees from Bourne, his wife's inheritance, in 1166 at Lincolnshire, England.1 He founded the Abbey of Longues and made numerous gifts thereto for the souls of his father and mother, of Baldwin FitzGilbert and his daughter Emma, Hugh's wife, and for the salvation of his children Baldwin and Geoffrey and others in 1168.3 He gave to the monks of the Abbey of Le Bec, in Normandy, the lordship of Wilsford at Lincolnshire, England.2,3 He died circa 1176.2,4 He was living in 1175/76 at 22 Henry II. [S215] Revised by others later George Edward Cokayne CP, XII/2:295. [S603] C.B., LL.D., Ulster King of Arms Sir Bernard Burke, B:xP, pg. 563. [S215] Revised by others later George Edward Cokayne CP, XII/2:296. [S215] Revised by others later George Edward Cokayne CP, XII/2:296 - between Michaelmas 1175 and Michaelmas 1176. Andronikos Doukas Kamateros, megas droungarios, pansebastos was a high-ranking official who held the titles of megas droungarios (a subordinate of the megas doux or Lord High Admiral), and pansebastos.2 He was born in 1120. He was the son of Gregorios Kamateros and Eirene Doukaina.1 Andronikos Doukas Kamateros, megas droungarios, pansebastos died in 1176 at age 56 years. [S1649] Wikipedia Web, online http://en.wikipedia.org/wiki/, Euphrosyne Doukaina Kamaterina. Gregorios Kamateros was born in 1078. He was the son of Basileios Kamateros. Gregorios Kamateros married Eirene Doukaina, daughter of Michael Doukas, before 1108.1 Gregorios Kamateros died in 1176 at age 98 years.